President Trump’s State of the Union address covered many topics, including a brief, but direct message about the need to pass school choice legislation. In its post-SOTU statement (below) Agudah focused on the President’s message that anti-Semitic hatred and violence is antithetical to American ideals and must be aggressively fought in thought, speech, and deed. 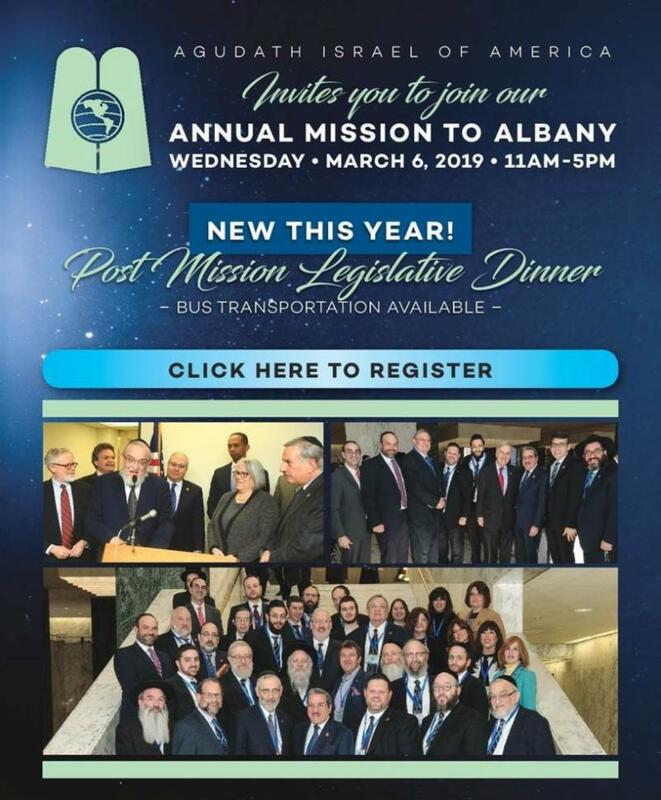 The California Agudah office is organizing a leadership mission to Sacramento on February 27th (see here to read about the importance of such missions) while our New York office is hosting its annual mission to Albany on March 6th (click here to register). These grassroots visits with elected officials are critical to our efforts and I encourage you to join us. Last week, I shared a five minute video about the importance of calling your legislators (here). Continuing with that series, I will be sharing short clips from a longer presentation called “Advocacy Made Simple” over the next few weeks. To watch my introduction to that session, click on the image below. One way to put theory into practice is by contacting Congress today and ask them to maintain critical funding for the Nonprofit Security Grant Program. The program awards grants of up to $150,000 to eligible nonprofits, but is facing the possibility of being cut significantly by Congress. 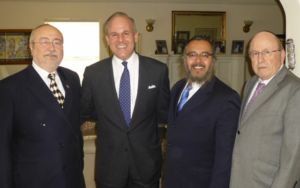 Rabbi Abba Cohen, our Vice President for Government Affairs, was quoted extensively in this article about the lobbying effort. Please go to our easy-to-use action center to learn more and connect with your member of Congress. New Jersey residents – we have one additional request. There is a state security grant which needs to be included in the state budget for it to be renewed. Please click here to learn more and contact Governor Murphy. While grassroots advocacy is critical, it doesn’t take away from the need of formal testimony. Earlier this week, our director of New York Government Relations, Rabbi Yeruchim Silber testified before a joint budget committee about Agudah’s budget priorities and addressed the problematic “substantial equivalency” guidelines. To watch his testimony click here. Lastly, each month we will be highlighting a different division within the larger Agudath Israel of America organization. See here for a video about our Commission on Torah Projects.